HUOT, MARIE-FRANÇOISE, named Sainte-Gertrude, sister of the Congregation of Notre-Dame, teacher, and superior of the community (superior general); b. 10 Oct. 1795 in L’Ange-Gardien, Lower Canada, daughter of Pierre-Michel Huot and Marie-Françoise Huot; d. 8 Nov. 1850 in Montreal. Marie-Françoise Huot spent some time at the boarding-school run by the Congregation of Notre-Dame in Sainte-Famille on Île d’Orléans. In 1815, at the age of 19 years and 9 months, she entered the noviciate in Montreal. She took the habit on 26 June 1816, receiving the name Sainte-Gertrude, and then on 10 July 1817 made her vows. 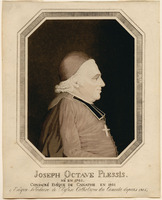 Subsequently she taught in various missions: Saint-Laurent on the island of Montreal, Saint-François (at Saint-François-Montmagny), Lower Town Quebec, Sainte-Marie-de-la-Nouvelle-Beauce (Sainte-Marie), Saint-Denis on the Richelieu, Terrebonne, and Berthier, as well as at the boarding-school of the mother house in Montreal. She was back in Lower Town when she was chosen to be assistant superior of the community in 1839. The next year she was elected superior, but only held the office for three years, being forced by illness to insist upon being relieved of it. She did, however, remain assistant to the superior, Marie-Catherine Huot*, named Sainte-Madeleine, until 1848. She then entered the infirmary, where she died of cancer two years later. Several amendments to the rule affected the teaching provided by the sisters. Bourget decreed, for example, that lay women teachers could be appointed to assist them in schools in the suburbs, especially for teaching English. 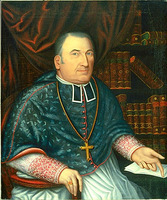 He also ordered them to exchange their traditional method of instruction for that of the Frères de la Doctrine Chrétienne, and to admit into the missions as day pupils “young girls whose parents might be too poor to pay for their board at the convent.” The sisters accepted such changes reluctantly, and Sister Sainte-Gertrude spoke for them to the bishop, who, fearing “the serious inconveniences that occur, in religious communities as elsewhere, when the authorities are turned with the wind like a weathercock,” insisted on having the final word. 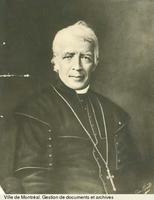 Under Sister Sainte-Gertrude’s superiorship, the Congregation of Notre-Dame decided in 1841 to move its Quebec mission to a site near the church of Notre-Dame-des-Victoires in Saint-Roch parish, in accordance with a wish expressed by Bishop Joseph-Octave Plessis* before his death. The community also founded a convent in the parish of Saint-Joseph, at Les Cèdres, which became its fifteenth mission in the countryside, despite the fact that there were only about 80 sisters all told. The life of the Congregation of Notre-Dame under Sister Sainte-Gertrude makes patent the community’s subordination to ecclesiastical authority. It thus contradicts the school of historiography which contends that the nuns were self-governing women and “the first feminists” in Canadian and Quebec history. Having taken the vow to renounce personal independence, these women showed no desire for collective independence. By conviction and by obedience they were clearly submissive to the hierarchical church. ACAM, RLB, IV–VI. ANQ-Q, CE1-3, 11 oct. 1795. Arch. de la Congrégation de Notre-Dame (Montréal), Reg. des baptêmes et sépultures. [D.-A. Lemire-Marsolais, dite Sainte-Henriette, et] Thérèse Lambert, dite Sainte-Marie-Médiatrice, Histoire de la Congrégation de Notre-Dame (11v. en 13 parus, Montréal, 1941– ), 8: 177; 9: 234–41. Pouliot, Mgr Bourget et son temps, vol.3. Andrée Désilets, “HUOT, MARIE-FRANÇOISE, Sainte-Gertrude,” in Dictionary of Canadian Biography, vol. 7, University of Toronto/Université Laval, 2003–, accessed April 22, 2019, http://www.biographi.ca/en/bio/huot_marie_francoise_7E.html.